Looking for a dessert featuring Vermont Maple Syrup? Search no further. 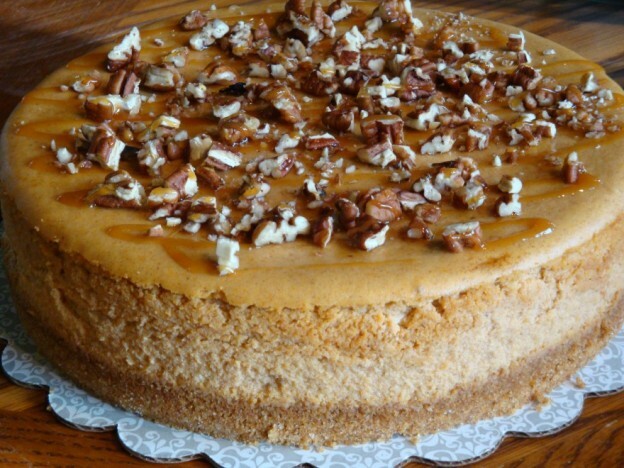 We have the perfect cheesecake recipe that is sure to wow your family and friends. 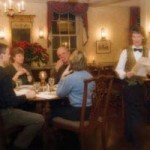 Our next maple syrup recipes comes from The Old Tavern at Grafton Inn, located in the heart of Grafton VT. It is one of the oldest operating inns in America, having opened its doors in 1801. *preheat oven to 325. Mix the graham cracker crumbs, sugar and melted butter in a large bowl until well mixed. Press into the bottom of a spring form pan. In a mixer with a paddle attachment, mix the cream cheese until light and fluffy, approximately five minutes. Turn the mixer to low speed and add the eggs one at a time until they are completely incorporated. Add the pumpkin, condensed milk and maple syrup and mix on medium speed till fully mixed. Finally, add the salt and spices and continue to mix on medium speed for at least five minutes. The longer you mix the filling the lighter the final cake will be. Pour the filling over the graham crust and gently knock the bubbles out of the cake by tapping it against the counter. Bake for one hour and fifteen minutes or until the cake is just set and wiggles slightly in the center. Turn your oven off and place a dry kitchen towel in the oven door to leave it open slightly and allow the cake to rest in the warm oven for at least one hour. After the hour, remove cake from oven and chill for at least four hours before removing from spring form pan. In a medium saucepan, combine the cream and maple syrup and bring to a boil. Boil until slightly thickened, 25 minutes, stirring occasionally. Stir in the pecan pieces. Cover and chill. Stir together before pouring over completely cooled cheesecake. You will want to make sure you save room for dessert with this recipe!! This entry was posted in Food, Now Trending on March 31, 2016 by Linda Cassella. Take this Yummy Cheesecake when You Visit this Holiday Season Pouding Chomeur Anyone? Yummy Maple Granola Who Loves Sticky Buns?